Childhood sexual abuse is a horrific crime. The trauma created in the victim changes them forever. It changes the trusting innocence of childhood to a confused, guilt ridden, frightening, and traumatized existence. It not only produces short-term trauma which includes both psychological and physical injury, it has long-term consequences. It damages the victim’s self-esteem and creates difficulties entering into intimate relationship in adulthood. It can create post-traumatic stress disorder (PTSD) complete with painful flashbacks, nightmares, severe anxiety, and uncontrollable thoughts about the event. Victims often experience depression and sometimes become suicidal. It is a heinous crime that haunts the victims for the rest of their lives. Unfortunately, childhood sexual abuse is shockingly common. It is estimated that 20% of girls and 10% of boys have experienced childhood sexual abuse and half of these were forcefully assaulted. Children between the ages of 7 and 13 are the most vulnerable but abuse is also prevalent in adolescence with 16% of children between 14 to 17 having been sexually victimized. Compounding the problem disclosure of sexual abuse is often delayed; children often avoid telling because they are either afraid of a negative reaction from their parents or of being harmed by the abuser. As such, they often delay disclosure until adulthood. This makes it unlikely that they’ll seek help and instead suffer in silence. 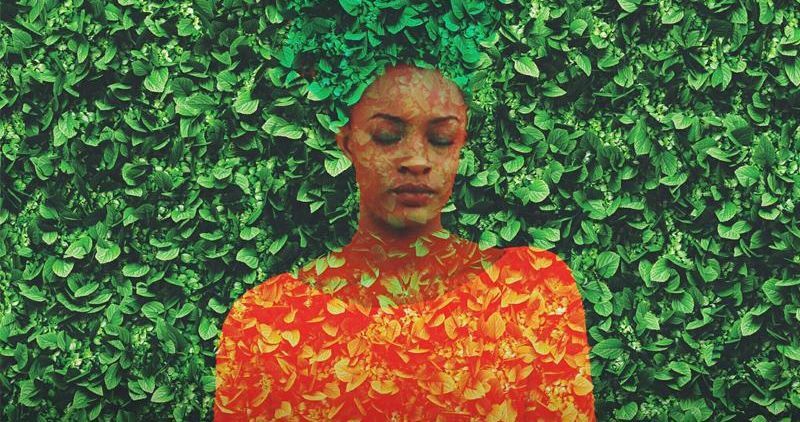 Mindfulness training has been shown to be effective in treating victims of trauma and PTSD. Dialectical Behavior Therapy (DBT) focuses on changing the thoughts and emotions that precede problem behaviors, as well as by solving the problems faced by individuals that contribute to problematic thoughts, feelings and behaviors. In DBT five core skills are practiced; mindfulness, distress tolerance, emotion regulation, the middle path, and interpersonal effectiveness. So, it would make sense to explore the effectiveness of DBT for the treatment of adult survivors of childhood sexual abuse. In today’s Research News article “Dialectical behaviour therapy for posttraumatic stress disorder related to childhood sexual abuse: a pilot study in an outpatient treatment setting.” (See summary below or view the full text of the study at: https://www.ncbi.nlm.nih.gov/pmc/articles/PMC5774406/ ), Steil and colleagues recruited adult healthy women who had experienced childhood sexual abuse and were diagnosed with post-traumatic stress disorder (PTSD). They treated them with Dialectical Behavior Therapy (DBT) in a group for 90 minutes, once a week for 24 weeks. They were measured before and after treatment and 6 weeks later for frequency and intensity of PTSD symptoms, personality disorders, borderline symptoms, depression, and dissociative symptoms. They found that the average duration of the PTSD symptoms prior to treatment was 14.5 years. 81% of the patients completed treatment. Following treatment, the women had significant reductions in PTSD symptoms including fewer intrusions, less avoidances, and hyperarousal episodes with large effect sizes. Treatment also produced large significant reductions in borderline symptoms, depression, and dissociative symptoms. These effects were still present and significant at the 6-week follow-up measurement. The results suggest that Dialectical Behavior Therapy (DBT) is a safe, lasting, and effective treatment for PTSD symptoms resulting from childhood sexual abuse. But this was a pilot study without a control group. It relied upon before and after treatment comparisons. As such, there are many potential confounding factors. But the results are so positive and beneficial that a large randomized controlled clinical trial is warranted. So, improve PTSD symptoms related to childhood sexual abuse with mindfulness. Background: Dialectical behaviour therapy for posttraumatic stress disorder (DBT-PTSD), which is tailored to treat adults with PTSD and co-occurring emotion regulation difficulties, has already demonstrated its efficacy, acceptance and safety in an inpatient treatment setting. It combines elements of DBT with trauma-focused cognitive behavioural interventions. Objective: To investigate the feasibility, acceptance and safety of DBT-PTSD in an outpatient treatment setting by therapists who were novice to the treatment, we treated 21 female patients suffering from PTSD following childhood sexual abuse (CSA) plus difficulties in emotion regulation in an uncontrolled clinical trial. Method: The Clinician Administered PTSD Symptom Scale (CAPS), the Davidson Trauma Scale (DTS), the Borderline Section of the International Personality Disorder Examination (IPDE) and the Borderline Symptom List (BSL-23) were used as primary outcomes. For secondary outcomes, depression and dissociation were assessed. Assessments were administered at pretreatment, post-treatment and six-week follow-up. Results: Improvement was significant for PTSD as well as for borderline personality symptomatology, with large pretreatment to follow-up effect sizes for completers based on the CAPS (Cohens d = 1.30), DTS (d = 1.50), IPDE (d = 1.60) and BSL-23 (d = 1.20). Conclusion: The outcome suggests that outpatient DBT-PTSD can safely be used to reduce PTSD symptoms and comorbid psychopathology in adults who have experienced CSA. One of the few treatments that appears to be effective for Borderline Personality Disorder (BPD) is Dialectical Behavior Therapy (DBT). It is targeted at changing the problem behaviors characteristic of BPD including self-injury. Behavior change is accomplished through focusing on changing the thoughts and emotions that precede problem behaviors, as well as by solving the problems faced by individuals that contribute to problematic thoughts, feelings and behaviors. In DBT five core skills are practiced; mindfulness, distress tolerance, emotion regulation, the middle path, and interpersonal effectiveness. How important it is for the patients to be successful in the development and employment of these skills is unknown. In today’s Research News article “Suicidal Ideation and Skill Use During In-patient Dialectical Behavior Therapy for Borderline Personality Disorder. A Diary Card Study.” (See summary below or view the full text of the study at: https://www.ncbi.nlm.nih.gov/pmc/articles/PMC5920639/ ), Probst and colleagues recruited patients diagnosed with Borderline Personality Disorder (BPD) and provided them with a 5-week program of Dialectical Behavior Therapy (DBT). The patients completed diary entries after each treatment day with ratings of their levels of suicide ideation and their use of the five core skills of DBT. They found that the patients used skills and found them useful on 80% of treatment days. They found that the patients who had successful skill use on most days had greater reductions in suicide ideation than less successful patients. In addition, on days where skill use was successful there were lower levels of suicide ideation. Hence, successful employment of the five core skills of DBT appears to be very important for progress in therapy. During the course of therapy, the BPD patient is encouraged to practice and use the five core skills; mindfulness, distress tolerance, emotion regulation, the middle path, and interpersonal effectiveness. If they are successful in using these skills, suicidal thoughts appear to diminish. This emphasizes the importance of stressing skill development and use during Dialectical Behavior Therapy (DBT) treatment for Borderline Personality Disorder (BPD) as it can influence the effectiveness of treatment. So, decrease suicide ideation with skills learned in Dialectical Behavior Therapy. Self-injury is a disturbing phenomenon occurring worldwide, especially in developed countries, such as the U.S. and those in western Europe. Approximately two million cases are reported annually in the U.S. Each year, 1 in 5 females and 1 in 7 males engage in self-injury usually starting in the teen years. 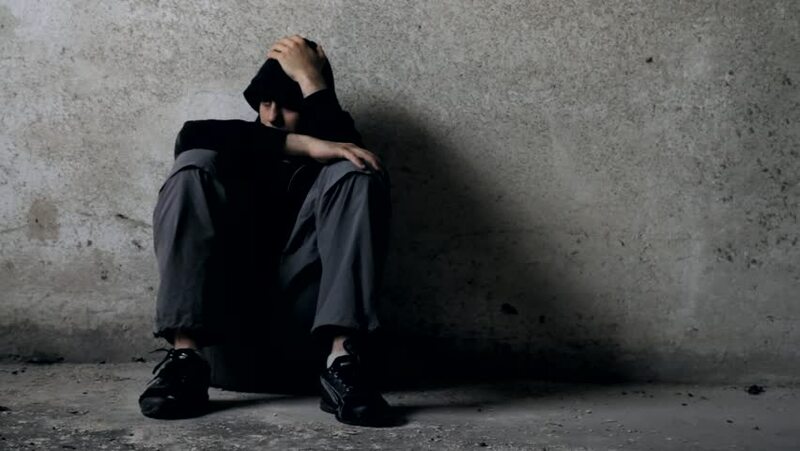 Frequently, untreated depression and other mental health challenges create an environment of despair that leads people to cope with these challenges in unhealthy ways. Nearly 50 percent of those who engage in self-injury have been sexually abused. Borderline Personality Disorder (BPD) is a very serious mental illness that is estimated to affect 1.6% of the U.S. population. It involves unstable moods, behavior, and relationships, problems with regulating emotions and thoughts, impulsive and reckless behavior, and unstable relationships. About ¾ of BPD patients engage in self-injurious behaviors. One of the few treatments that appears to be effective for Borderline Personality Disorder (BPD) is Dialectical Behavior Therapy (DBT). It is targeted at changing the problem behaviors characteristic of BPD including self-injury. Behavior change is accomplished through focusing on changing the thoughts and emotions that precede problem behaviors, as well as by solving the problems faced by individuals that contribute to problematic thoughts, feelings and behaviors. In DBT five core skills are practiced; mindfulness, distress tolerance, emotion regulation, the middle path, and interpersonal effectiveness. DBT reduces self-injurious behaviors in BPD patients. In today’s Research News article “Cost-effectiveness of dialectical behaviour therapy vs. enhanced usual care in the treatment of adolescents with self-harm.” (See summary below or view the full text of the study at: https://www.ncbi.nlm.nih.gov/pmc/articles/PMC5928596/ ), Haga and colleagues recruited adolescents who had repeatedly harmed themselves and randomly assigned then to receive 19 once a week 1 hour sessions of either Dialectical Behavior Therapy (DBT) or enhanced usual care. Enhanced usual care consisted of a combination of psychotherapy and cognitive behavioral therapy tailored to treat suicidality and self-harm. 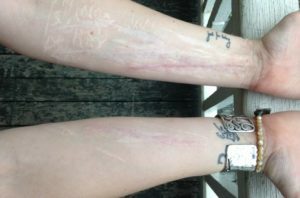 They were measured before and after treatment and 1 year later for self-harm episodes and global functioning. The costs of treatment were also estimated. They found that at the end of treatment the adolescents who received Dialectical Behavior Therapy (DBT) had significantly fewer self-harm episodes and lower levels of suicide ideation and depression than those who received enhanced usual care. Importantly, a year later, the group that received DBT still had significantly fewer self-harm episodes. In addition, DBT did not cost more than the enhanced usual care program to implement. These results are important and suggest that Dialectical Behavior Therapy (DBT) is an effective and cost-effective treatment for adolescents who harm themselves. This is particularly important as self-harm is often a predictor of eventual suicide. The reduction in suicidal ideation in these adolescents is an indication of this. Hence, DBT can reduce self-harm behaviors and reduce the suffering of these troubled adolescents. So, reduce self-harming in adolescents with mindfulness. To evaluate the cost-effectiveness of DBT for adolescents (DBT-A) compared to enhanced usual care (EUC). In a randomised study, 77 adolescents with repeated self-harm were allocated to 19 weeks of outpatient treatment, either DBT-A (n = 39) or EUC (n = 38). Cost-effective analyses, including estimation of incremental cost-effectiveness ratios, were conducted with self-harm and global functioning (CGAS) as health outcomes. Using self-harm as effect outcome measure, the probability of DBT being cost-effective compared to EUC increased with increasing willingness to pay up to a ceiling of 99.5% (threshold of € 1400), while with CGAS as effect outcome measure, this ceiling was 94.9% (threshold of € 1600). One of the few treatments that appears to be effective for Borderline Personality Disorder (BPD) is Dialectical Behavior Therapy (DBT). It is targeted at changing the problem behaviors characteristic of BPD including self-injury. Behavior change is accomplished through focusing on changing the thoughts and emotions that precede problem behaviors, as well as by solving the problems faced by individuals that contribute to problematic thoughts, feelings and behaviors. In DPT five core skills are practiced; mindfulness, distress tolerance, emotion regulation, the middle path, and interpersonal effectiveness. Technology is recently becoming applied to training in mindfulness. Indeed, mindfulness training carried out completely on-line has been shown to be effective for as number of conditions. But, now virtual reality (VR) devices are improving and becoming readily available. Previously it has been shown the virtual reality (VR) can be helpful in treating phobias. It is not known, however, if VR can be used in mindfulness training and in the treatment of Borderline Personality Disorder (BPD). Nararro-Haro and colleagues performed a single subject case study of the use of VR to potentiate the effects of the mindfulness training used in Borderline Personality Disorder (BPD). The participant was a 32-year old woman who was diagnosed with BPD. She was being treated with Dialectical Behavior Therapy (DBT) but was having difficulty with the mindfulness component of DBT. In addition to the standard DBT virtual reality (VR) of floating down a gentle river was used along with the DBT mindfulness audio tracks. The participant was measured during and after training for mindfulness, mood, urges and dysfunctional behaviors. After treatment, the participant had marked reductions in urges to commit suicide, harm herself, quit therapy, and substance abuse. In addition, she had markedly reduced negative emotions. These results are encouraging but there was only a single subject, there was no control condition, and there was no follow-up. So, no firm conclusions about effectiveness can be reached. But the results demonstrate that virtual reality can be employed to help potentiate the effectiveness of therapy of Dialectical Behavior Therapy (DBT) for Borderline Personality Disorder (BPD). Borderline personality disorder (BPD) is a severe mental disorder characterized by a dysfunctional pattern of affective instability, impulsivity, and disturbed interpersonal relationships. Dialectical Behavior Therapy (DBT®) is the most effective treatment for Borderline Personality Disorder, but demand for DBT® far exceeds existing clinical resources. Most patients with BPD never receive DBT®. Incorporating computer technology into the DBT® could help increase dissemination. Immersive Virtual Reality technology (VR) is becoming widely available to mainstream consumers. This case study explored the feasibility/clinical potential of using immersive virtual reality technology to enhance DBT® mindfulness skills training of a 32 year old female diagnosed with BPD. Prior to using VR, the patient experienced difficulty practicing DBT® mindfulness due to her emotional reactivity, and difficulty concentrating. To help the patient focus her attention, and to facilitate DBT® mindfulness skills learning, the patient looked into virtual reality goggles, and had the illusion of slowly “floating down” a 3D computer-generated river while listening to DBT® mindfulness training audios. Urges to commit suicide, urges to self harm, urges to quit therapy, urges to use substances, and negative emotions were all reduced after each VR mindfulness session and VR mindfulness was well accepted/liked by the patient. Although case studies are scientifically inconclusive by nature, results from this feasibility study were encouraging. Future controlled studies are needed to quantify whether VR-enhanced mindfulness training has long term benefits e.g., increasing patient acceptance and/or improving therapeutic outcome. Computerizing some of the DBT® skills treatment modules would reduce cost and increase dissemination. Borderline Personality Disorder (BPD) is a very serious mental illness that is estimated to affect 1.6% of the U.S. population. It involves unstable moods, behavior, and relationships, problems with regulating emotions and thoughts, impulsive and reckless behavior, and unstable relationships. In addition, 30 to 90 % of BPD cases are associated with high rates of early traumatic experiences including sexual, physical and emotional abuse. BPD is associated with high rates of co-occurring depression, anxiety disorders, substance abuse, eating disorders, self-harm, suicidal behaviors, and completed suicides. BPD is dangerous as it can propel the sufferer, on the spur of the moment, to overreact to anger, take drugs, harm themselves, and even terminate their lives. Needless to say it is widespread, debilitating, and markedly reduces health and health related quality of life. BPD has not responded well to a variety of therapies with the exception of Dialectical Behavior Therapy (DBT). It is significant that a difference between DBT and other therapies is that it emphasizes mindfulness. 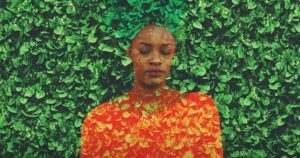 This suggests that mindfulness training may be essential in treating Borderline Personality Disorder and impulsivity. The effectiveness of DBT has been only demonstrated in adults. But Borderline Personality Disorder (BPD) also can occur in adolescents. But, it is not known if DBT may be effective for adolescents with BPD and can improve their health and quality of life. Swales and colleagues received and summarized data from 4 different programs that administered Dialectical Behavior Therapy (DBT) to adolescents with Borderline Personality Disorder (BPD). They obtained health status data including mobility, self-care, usual activities, pain or discomfort and anxiety and depression. They found that DBT produced a significant improvement in health status and health related quality of life with a clinically significant large effect size. Comparison of these results to those obtained in other studies with adults indicated that the results for the adolescents were comparable or better. These are interesting findings but they suffer from the lack of a control comparison condition. It should be kept in mind, however, that Borderline Personality Disorder (BPD) rarely improves even with other forms of treatment. So, it is unlikely that these youths spontaneously got better or responded to a placebo effect. The results are important in that they demonstrate for the first time that DBT is effective for BPD in adolescents, improving their health and health related quality of life. Hence, mindfulness training appears to be an important of successful treatment of Borderline Personality Disorder (BPD) in adolescents. So, improve quality of life in borderline patients with mindfulness. Purpose: Adults presenting with borderline personality disorder (BPD) score poorly on measures of health related quality of life (HRQoL). Little is known about HRQoL in adolescents with BPD type presentations and how treatment impacts quality of life. Our primary aim was to use routinely collected quality-of-life outcome measures pre and post-treatment in dialectical behaviour therapy (DBT) for adolescents to address this gap. Secondary aims were to benchmark these data against EuroQol 5 dimensions (EQ-5D™) outcomes for clients treated in clinical trials and to assess the potential of the EQ-5D™ as a benchmarking tool. Method: Four adolescent DBT teams, routinely collecting outcome data using a pseudonymised secure web-based system, supplied data from consecutive discharges. Results: Young people in the DBT programmes (n = 43) had severely impaired HRQoL scores that were lower at programme admission than those reported in published studies using the EQ-5D™ in adults with a BPD diagnosis and in one study of adolescents treated for depression. 40 % of adolescents treated achieved Reliable Clinical Change. HRQoL improved between admission and discharge with a large effect size. These results were not statistically significant when clustering in programme outcomes was accounted for. Conclusion: Young people treated in NHS DBT programmes for BPD type presentations had poorer HRQoL than adults with a BPD diagnosis and adolescents with depression treated in published clinical trials. The EQ-5D™ detected reliable change in this group of adolescents. Programme outcome clustering suggests that both the measure and the web-based monitoring system provide a mechanism for benchmarking clinical programmes. One of the few treatments that appears to be effective for Borderline Personality Disorder (BPD) is Dialectical Behavior Therapy (DBT). It is targeted at changing the problem behaviors characteristic of BPD including self-injury. Behavior change is accomplished through focusing on changing the thoughts and emotions that precede problem behaviors, as well as by solving the problems faced by individuals that contribute to problematic thoughts, feelings and behaviors. In DPT five core skills are practiced; mindfulness, distress tolerance, emotion regulation, the middle path, and interpersonal effectiveness. DBT reduces self-injurious behaviors in BPD patients. But, not all respond. In order to improve treatment for self-injurious behaviors in BPD is important to identify the factors associated with patients who respond to treatment vs. those who don’t. Ruocco and colleagues studied the neural responses of Borderline Personality Disorder (BPD) patients who decrease self-injurious behaviors in response to Dialectical Behavior Therapy (DBT) vs. those who don’t respond. Patients had their brains scanned before and after 7-months of DBT. They found that a wide variety of self-harming behaviors were significantly reduced after the DBT. They also found that those patients who responded well and had large reductions in self-harming demonstrated less activation of the Dorsolateral Prefrontal Cortex before treatment than patients who didn’t respond well to treatment. After treatment the patients who responded to therapy showed greater activation of the Dorsolateral Prefrontal Cortex. These relationships were present even after controlling for depression and mania. These are interesting and potentially important results. The Dorsolateral Prefrontal Cortex is known to be involved in behavioral regulations. It appears that patients low in this activation, in other words, low in behavioral regulation, benefit the most from treatment which increases this activity and increases self-control. Hence, these results suggest that BPD patients who respond best to treatment are those whose self-injurious behaviors are exacerbated by lack of ability to regulate behaviors. DBT appears to reduce self-harm by improving the patient’s ability to regulate their self-injurious behaviors. These findings also suggest that the best candidates for DBT are those who lack behavioral regulation ability. So, reduce self-harm with mindfulness-based dialectical behavior therapy. Self-harm is a potentially lethal symptom of borderline personality disorder (BPD) that often improves with dialectical behavior therapy (DBT). While DBT is effective for reducing self-harm in many patients with BPD, a small but significant number of patients either does not improve in treatment or ends treatment prematurely. Accordingly, it is crucial to identify factors that may prospectively predict which patients are most likely to benefit from and remain in treatment. In the present preliminary study, 29 actively self-harming patients with BPD completed brain-imaging procedures probing activation of the prefrontal cortex (PFC) during impulse control prior to beginning DBT and after 7 months of treatment. Patients that reduced their frequency of self-harm the most over treatment displayed lower levels of neural activation in the bilateral dorsolateral prefrontal cortex (DLPFC) prior to beginning treatment, and they showed the greatest increases in activity within this region after 7 months of treatment. 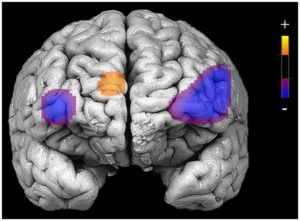 Prior to starting DBT, treatment non-completers demonstrated greater activation than treatment-completers in the medial PFC and right inferior frontal gyrus. Reductions in self-harm over the treatment period were associated with increases in activity in right DLPFC even after accounting for improvements in depression, mania, and BPD symptom severity. These findings suggest that pre-treatment patterns of activation in the PFC underlying impulse control may be prospectively associated with improvements in self-harm and treatment attrition for patients with BPD treated with DBT. Major Depressive Disorder (MDD) is a severe mood disorder that includes mood dysregulation and cognitive impairment. 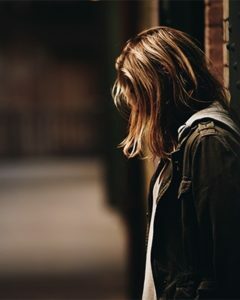 It is estimated that 16 million adults in the U.S. (6.9% of the population suffered from major depression in the past year and affects females (8.4%) to a great extent than males (5.2%). It’s the second-leading cause of disability in the world following heart disease. It has also been shown that depression is, to a large extent, inherited, but can also be affected by the environment. Since the genes basically encode when, where, and how chemicals are produced, it is likely that there are changes in brain chemistry produced by the genes responsible for Major Depressive Disorder. The usual treatment of choice for MDD is drug treatment. This supports the altered brain chemistry notion for MDD since the most effective treatment for MDD, drug treatment, changes brain chemistry. In fact, it is estimated that 10% of the U.S. population is taking some form of antidepressant medication. But a substantial proportion of patients (~40%) do not respond to drug treatment. In addition, the drugs can have nasty side effects. So, there is need to explore other treatment options. Li and colleagues explore brain chemistry changes in Major Depressive Disorder (MDD) and the effects of Mindfulness Based Cognitive Therapy (MBCT) on those brain chemistry changes. They recruited patients who were diagnosed with MDD but who were not currently taking antidepressant drugs and who were not practicing meditation or yoga. The brains of these patients and healthy controls were scanned with a powerful imaging technique called Magnetic Resonance Spectroscopic Imaging (MRSI). It is capable of non-invasively detecting levels of particular chemicals in the brain. The patients then received an 8-week MBCT group therapy followed by rescanning of the brains for the same chemicals. They found that the MDD patients compared to healthy controls had elevated levels of choline-containing compounds and decreased levels of N-acetyl aspartate, myo-inositol, and glutathione. These chemicals are breakdown products of active brain chemicals (metabolites). These are all markers of brain function. The heightened levels of choline-containing compounds suggests that there is with increased cell density and/or membrane turnover in MDD. The decreased levels of N-acetyl aspartate suggest that there is a loss of neurons or neuronal function in MDD. The decreased levels of myo-inositol suggest that there is a loss of or dysfunction of glial cells in MDD. Finally, the decreased levels of glutathione suggest that there is a lower level of neuron excitation in the brain in MDD. Importantly, Li and colleagues found that MBCT significantly reduced depression levels and at the same time normalized the levels of all of the metabolites that had abnormal levels in the patients. These are potentially important results. They demonstrate altered brain chemistry in MDD suggestive of dysfunction in the normal activities of the nervous system and point to potential causal factors in MDD. They also provide suggestions as to how MBCT changes the brain to effectively treat MDD. It should be noted that the changes in metabolites in Major Depressive Disorder may be the result of the depression rather than its cause. The fact that the changes vanished after treatment reduced depression tends to support this contention. It is a complex disease effecting the most complex entity in the universe, the human brain. Hence, there is still a lot of work to do to determine the causal factors in MDD. Regardless, change major depression brain chemistry with mindfulness. Borderline Personality Disorder (BPD) is a very serious mental illness that is estimated to affect 1.6% of the U.S. population. It involves unstable moods, behavior, and relationships, problems with regulating emotions and thoughts, impulsive and reckless behavior, and unstable relationships. In addition, 30 to 90 % of BPD cases are associated with high rates of early traumatic experiences including sexual, physical and emotional abuse. BPD is associated with high rates of co-occurring depression, anxiety disorders, substance abuse, eating disorders, self-harm, suicidal behaviors, and completed suicides. Needless to say it is widespread and debilitating. Many of these symptoms occur in other mental illnesses. Impulsivity, however, distinguishes BPD from other disorders. In addition, it is the reason that the disorder is dangerous to the individuals as it can propel them, on the spur of the moment, to overreact to anger, take drugs, harm themselves, and even terminate their lives. BPD has not responded well to a variety of therapies with the exception of Dialectical Behavior Therapy (DPT). It is significant that a difference between DBT and other therapies is that it emphasizes mindfulness. This suggests that mindfulness training may be essential in treating Borderline Personality Disorder and impulsivity. Indeed, BPD sufferers who are high in mindfulness tend to be low in impulsivity. It would make sense, then, that the mindfulness training occurring in Dialectical Behavior Therapy (DPT) may be an effective treatment for the dangerous symptom of impulsivity. Soler and colleagues randomly assigned Borderline Personality Disorder (BPD) patients to receive 10-weeks of Dialectical Behavior Therapy (DPT) which was modified to include only Mindfulness Training (MT) or Interpersonal Effectiveness Training (IE). IE is designed to teach patients how to act more effectively in interpersonal interactions. They found that only the Mindfulness Training group showed a significant improvement in three self-reported aspects of impulsivity, motor impulsiveness (acting without forethought); attentional impulsiveness (the tendency to make quick, non-reflexive decisions), and non-planning impulsiveness (failure to prepare for future events). They also measured impulsivity with a series of laboratory tests designed to measure various aspects of impulsivity. They found that the Mindfulness Training group showed improvements in delaying gratification and in time perception. These results are interesting. They suggest that the Mindfulness Training component of Dialectical Behavior Therapy (DPT) may be effective in treating the impulsivity characteristic of Borderline Personality Disorder (BPD) by improving the patients’ ability to delay gratification. Improved time perception may be responsible for better ability to delay gratification. It is important to note that impulsivity usually involves an inability to wait to get what is wanted. So, improved ability to delay gratification would be antithetical to impulsiveness. This may be the underlying mechanism by which mindfulness reduces impulsivity. As mentioned BPD is a difficult disorder to treat and potentially dangerous to the self and others. It appears that the distinctive feature of BPD, impulsivity, is improved by DBT and that it is the mindfulness training that is responsible. This is particularly important as impulsivity is primarily responsible for the dangerous behaviors of BPD sufferers. It also appears that the mindfulness training acts to reduce impulsivity by improving time perception and the ability to delay gratification. Impulsivity produces actions reflexively without awareness. Mindfulness training by improving the individual’s awareness of the immediate situation would tend to counteract impulsive action. So, mindfulness training may be essential to DBT’s ability to reduce impulsiveness by making the individual more aware of what they are doing. One cannot be mindful and impulsive at the same time. So, be less impulsive with mindfulness.